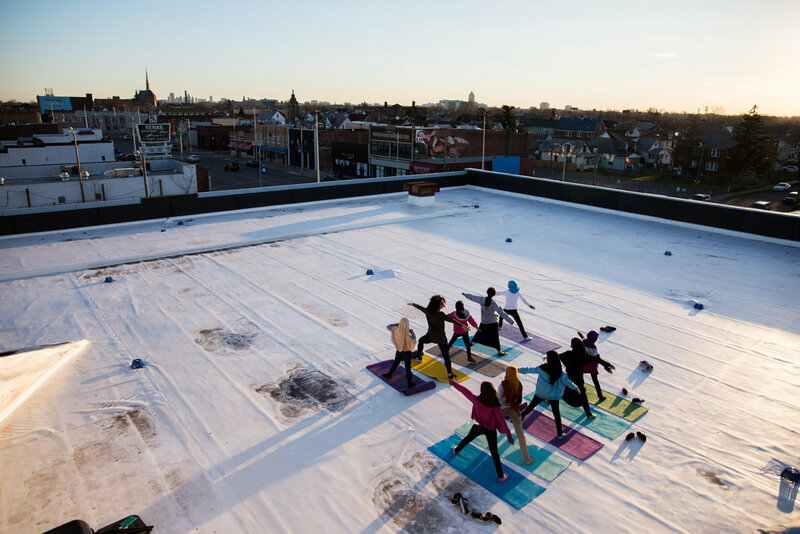 Yoga taught by holistic health coach Jacklyn Renee. Research grant opportunities. Write, proof read, and edit grant proposals. This position begins with a 1 month trial period. The goal of this time is to pressure test the fit for a part-time position on the team. - 3+ years experience writing grants. - Educated on art grants and communities in SE Michigan. - Passionate about women + immigrant rights. - Outgoing and self directed. - Bonus: live in Hamtramck. We have an open call for women artists to teach two hours workshops. Artists will be given a stipend for their time, a materials budget up to $50 and have access to our art supplies. To be considered submit a brief workshop proposal and CV. Girls paint with mulberries at our old location in a donated garage. At Women of Banglatown we are working on building a social justice library for young girls and teens. Together we can inspire future leaders by educating them on unique narratives — by writers of color and/or authors who can speak about social issues through their own experiences. We can never get enough of art supplies. We are in need of a new sewing machine, cotton yarn and organic cotton fabric. We also love markers, paper and embroidery string. 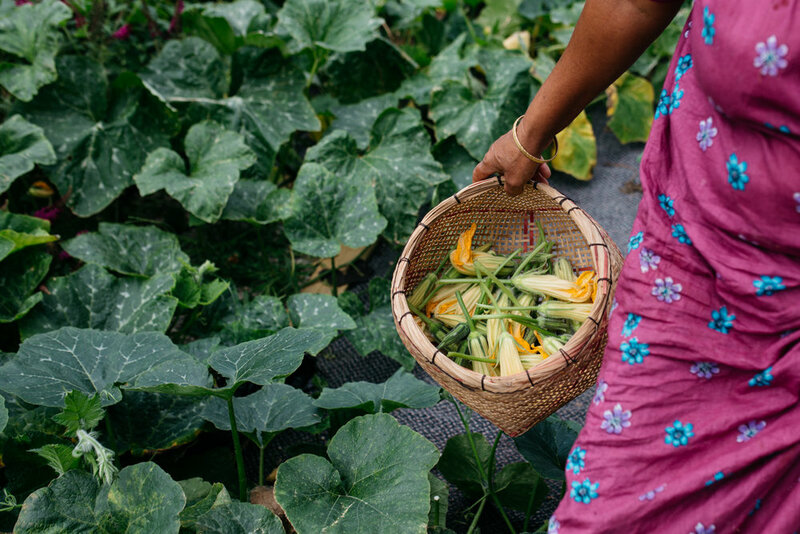 Rajna collects squash blossoms in a beautiful handwoven basket. She learned to weave as a young girl in Bangladesh from her grandmother.